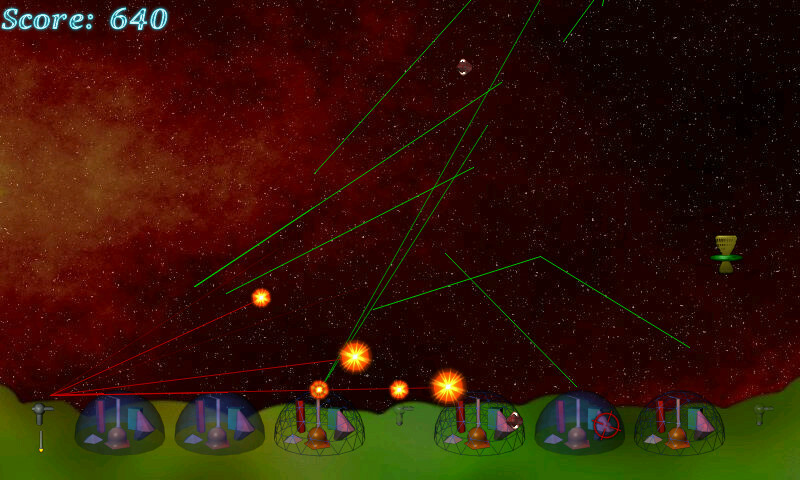 This is a clone of the classic "Missile Command" Game, but it has better graphics and music. The gameplay has only been slightly modified. Penguin Command is licensed under the GPL. Think I'd prefer the controls if they were tap screen to fire rather than drag to aim then button to fire. I find my hand obscuring too much of the screen unless I make a conscious effort to keep moving my hand back. Good missile command clone. I found normal mode started off very slowly then suddenly got very hectic, while arcade mode was better balanced. Very well done and almost as good as Missile Command 4/5.